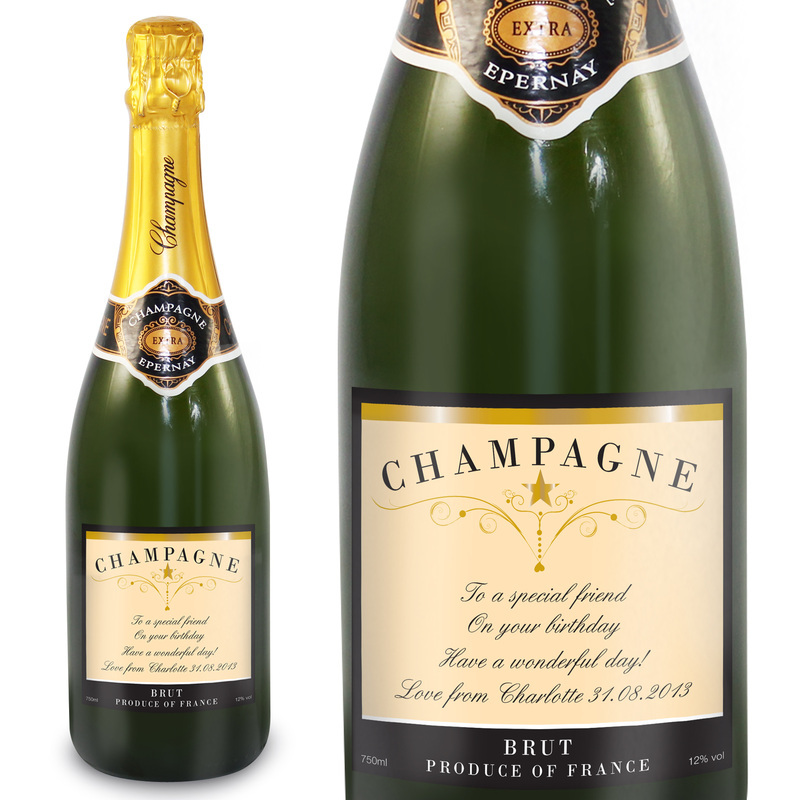 Personalise this Any Message Vintage Design Champagne Bottle with any message of your choice, over 4 lines of 35 characters. The wording 'Champagne' is standard text. The champagne comes presented in a bottle bag. Ideal for Weddings, Retirements, Birthdays, Anniversarys, Valentines, Christmas, Graduation.